41012 Rose Lane Clinton Twp, MI. | MLS# 218105850 | Sohi Realty LLC | 248-458-2050 | Troy MI Homes for Sale. 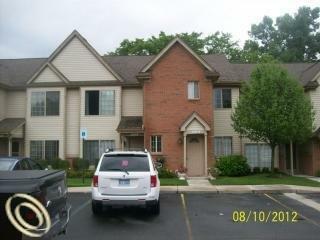 Don't miss out this stunning Condo in Clinton TWP. This main level Condo features an open floor plan, 2 large bedrooms, 2 full baths, 1 car garage. WILL NOT BE DISAPPOINTED! Garage ideal for parking and additional storage. Assoc Fee, grounds maintenance, trash pick-up, water, and black appliances included!! For Rent, No pets,12 months minimum lease, minimum security deposit equal to 1.5 months rent. $35 app fee, $250 clean up fee.